1 Madera loaf cut into large cubes. 80g Strawberry jelly, mixed according instructions. Add the berries and the Madera loaf to the bottom of a serving bowl. Pour the Jelly over and set in the fridge for 4 hours. 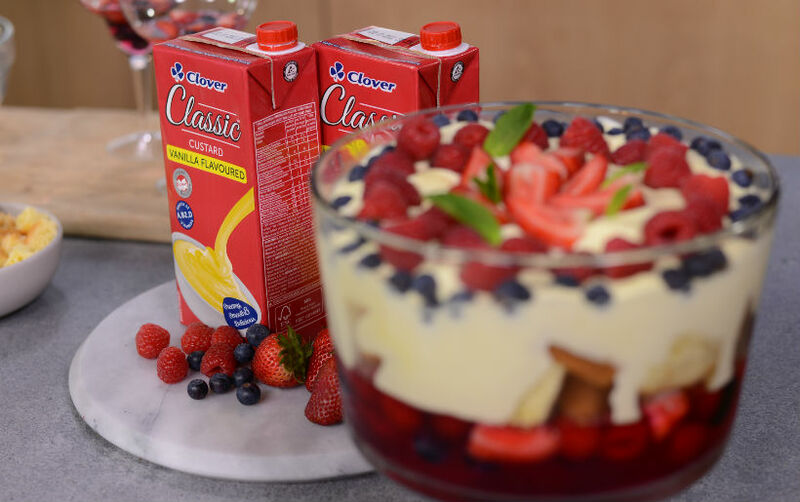 Fold the custard into the cream and top the set jelly. Finish with a garnish of extra berries.